I had hoped to “unveil” this new website in a different fashion, but I cannot really put it off any longer. For those of you who have been playing along over the years, you’ve seen me create a “regular” home journal over on JournalScape, linked to LiveJournal for those that had accounts there, create a Crafts journal, and most recently a Dance journal. Now, to the actual news and updates from life. I took a risk last year in April, taking a four-month contract with the possibility that it might last longer. It did in fact last for ten-months. But Wednesday last week around 4 in the afternoon, HR informed me the contract would be closed after Friday. So with two days notice, I packed up my office, said goodbye to the fantastic friends I made on that assignment, and headed home. I had a wonderful phone conversation Saturday with a friend who has a possible-job-lead for me… There were MANY fantastic pros for that job, but one really huge con. So I’m still weighing the issues. Sunday, we took the time to appreciate the wonders of the beaches in our backyard. You can see the full set of photos and videos here, on Google+, or just enjoy this one minute video below. Monday I managed to update my resume (again, grin) and then finish some web updates for another team of friends and write an article for an internet radio station, Krypton Radio. Today has been all about submitting my resume everywhere. I also have plans to have lunch with a friend… of course, I found a job opening at his company, too, so that’s a nice convenience. 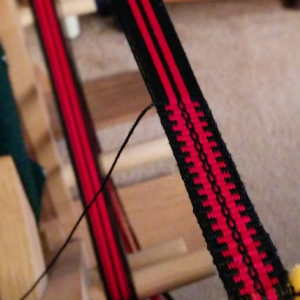 Then it will be all about the weaving this evening, as I have two major projects with deadlines looming. And with that, it’s time for a few pictures then back to the actual job hunt. I’m feeling very good about this. 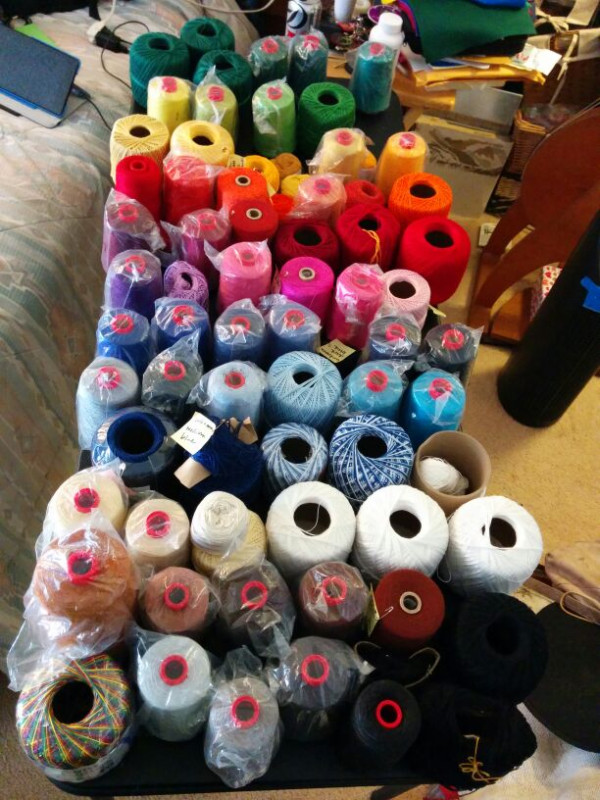 Taking inventory of all the weaving threads in my stash. I found two colors were missing and several that needed to be added to the inventory lists. Ha ha. Just the red, white, and blue flower. Love the blue polka dots!